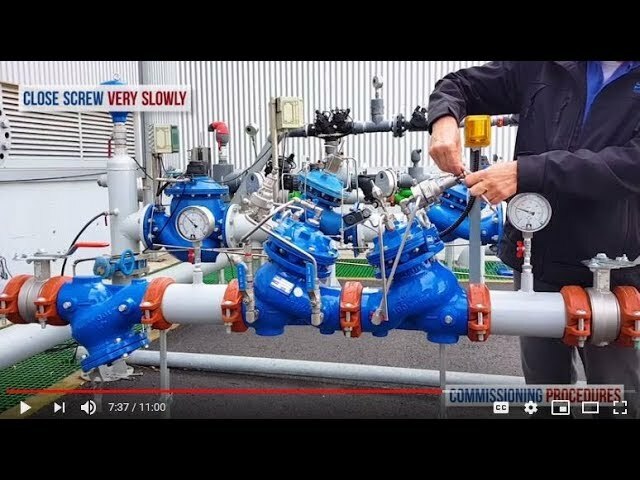 This video shows the commissioning and calibration of the BERMAD BC-720 pressure reducing control valve installed in-line with a Bermad 72S-H pressure reducing emergency backup or "watchdog" valve. 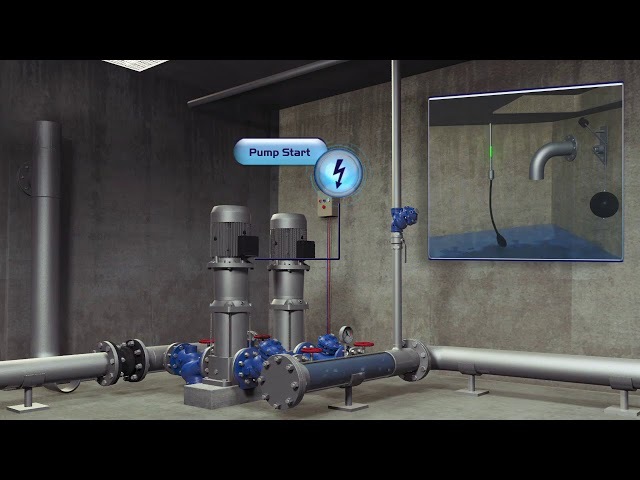 Both valves are shown installed in a pressure reducing station equipped with upstream and downstream isolation valves, pressure gauges and an in-line strainer. This configuration is designed to reliably and accurately reduce a higher supply line pressure to a lower consumer line pressure regardless of fluctuating upstream pressure or flow rates. 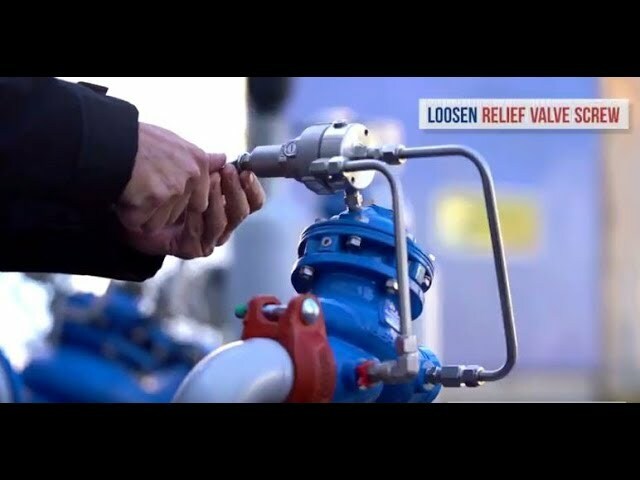 As a safety feature, the station includes a "watchdog" emergency backup valve, normally dormant and fully open and that will quickly enter into a pressure reduction mode if the consumer line pressure rises above a pre-set maximum value. 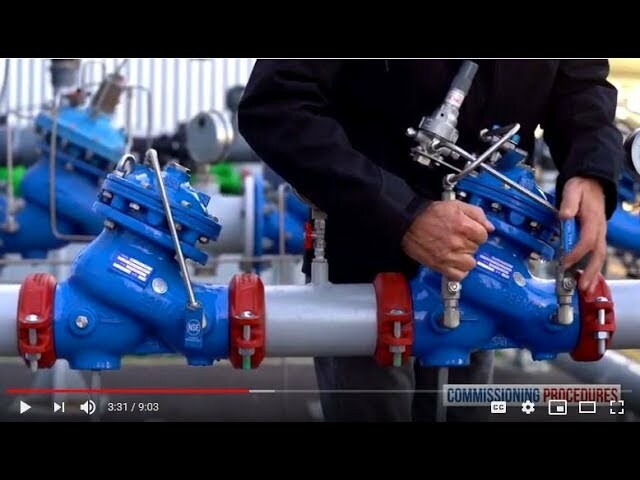 As soon as the "watchdog" valve enters into operation a limit switch on the valve will be triggered to alert the relevant authority to implement corrective action. 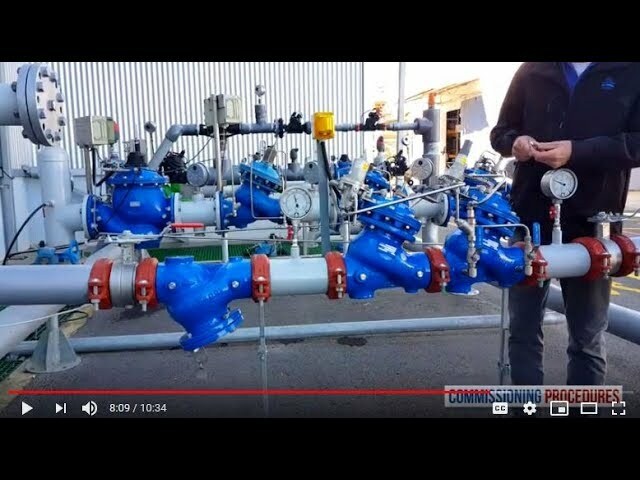 In this video, we show the commissioning and calibration of the BERMAD 720 pressure reducing valve and a BERMAD 73Q relief valve. Both valves are shown installed in a pressure reducing station equipped with pressure gauges, upstream and downstream isolation valves and an in-line strainer. This configuration is designed to reliably and accurately reduce a higher supply line pressure to a lower consumer line pressure regardless of fluctuating upstream pressure or flow rates. 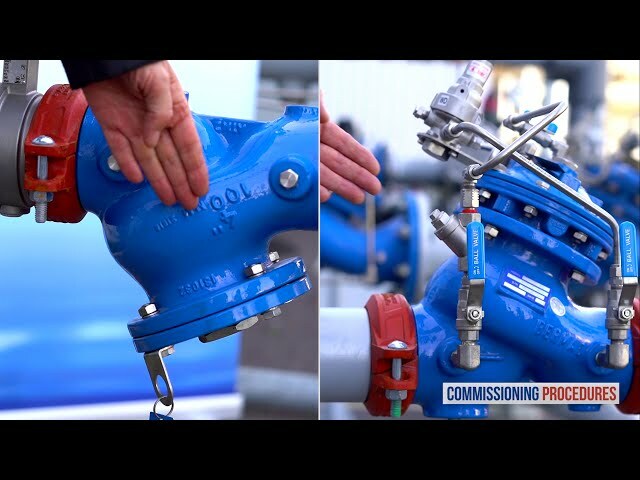 This station includes a pressure relief valve to relieve pressure spikes that might occur in the consumer supply line. 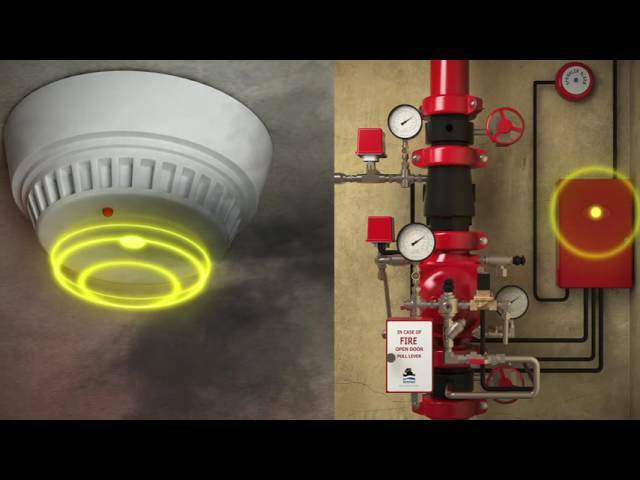 This animation presents the BERMAD Pre-Action fire protection system, which is installed at the machine room as an integral component of the building’s fire protection system. 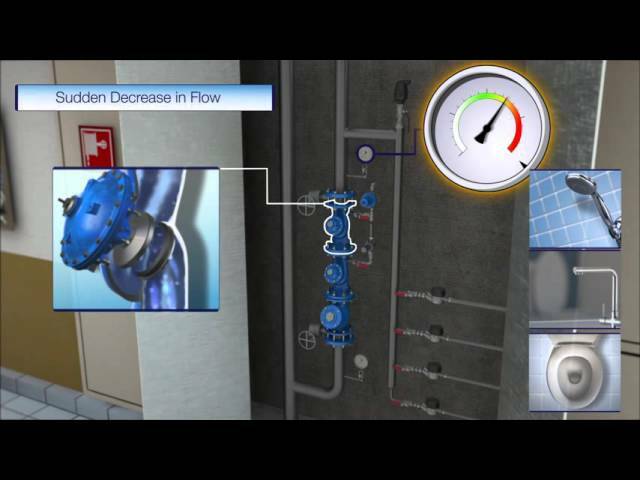 This animation describes the advantages of BERMAD’s single-floor pressure reduction system, installed in the water supply system of a high-rise building that is divided into few multi-floor pressure zones. 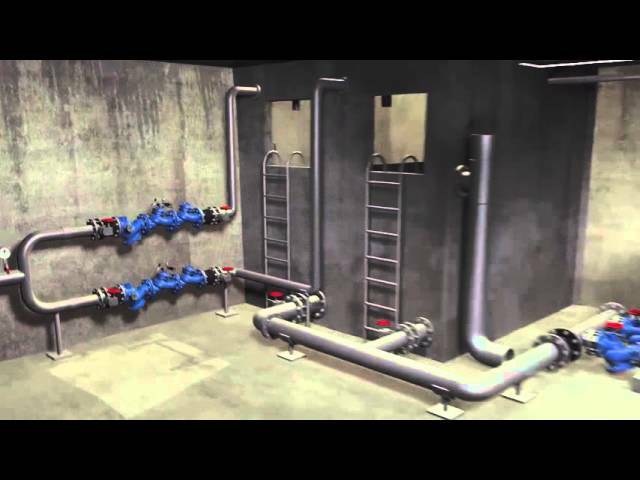 This animation describes the operation of Integrated self supported BERMAD’s Pressure Reduction system in water supply of high-rise building, which is divided into few pressure zones. 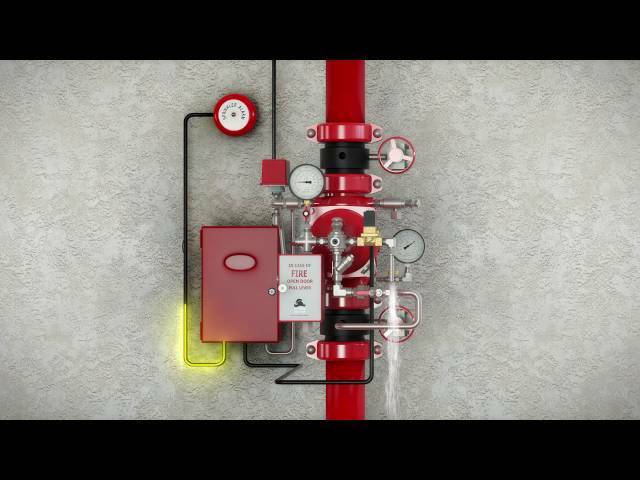 This animation demonstrates the operation of the pump involved in filling the upper reservoir in high-rise buildings, and describes BERMAD safety procedures for protecting the system from excessive pressure. 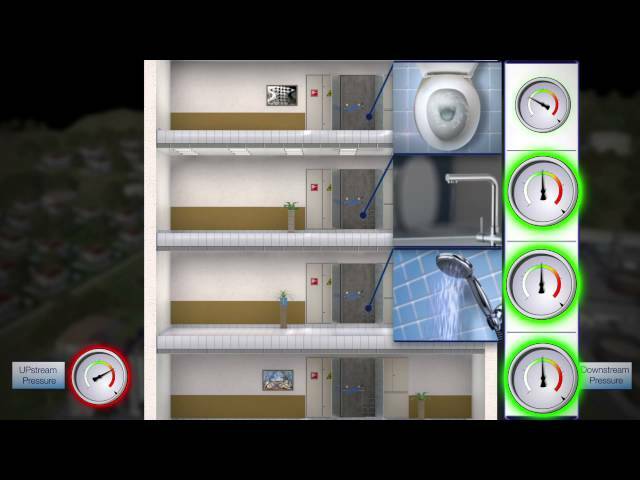 This animation demonstrates the lower reservoir filling cycle in a high-rise building, and describes the BERMAD safety procedure that protects the building from reservoir overflow.